Charming and pristine Edwardian dress! Done in a sheer cotton voile embroidered with tiny blue and pink flowers. Scalloped embroidered along the hem, shoulders and neckline. Puffed shoulders, square neckline and fitted waist. Back buttons. Unlined. Hand washed and ready to wear. 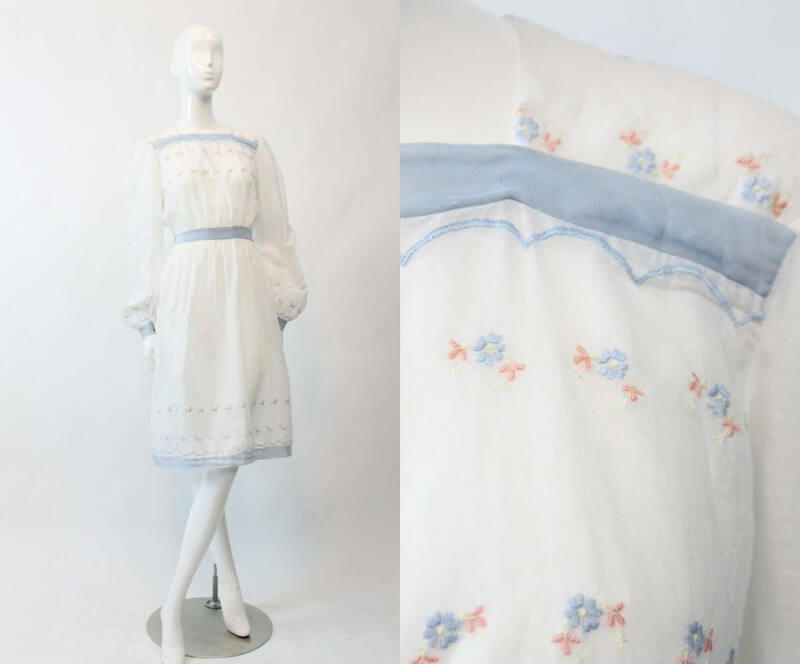 Condition: Excellent Vintage: Very, very faint fading on the blue trim on cuffs and hem.